If you’ve seen and felt beautiful embroidery, you will know nothing compares. Now, imagine being able to create the perfect embroidery design to match any occasion & personalize any project. Imagine the look on your friends/families face when you say “I made it from scratch”. Chances are if you’re reading this article you’re ready to dip your toes into the waters of machine embroidery. However, you may be asking yourself “I have no idea where to start?” or “I’m not even sure what I need to start stitching designs”. In this article, we’ll go over the basics of what you’ll need to start stitching and more importantly, start your own Embroidery Legacy. Single head embroidery machines are generally more user-friendly and are mainly used for basic sewing and digital embroidery designs. Can you guess why it’s called a single needle machine? Because a single needle stays in place while the embroidery arm moves over the flatbed and embroiderers the design you’ve chosen. A small downside to the single needle is every time you have a color change you have to switch the thread. 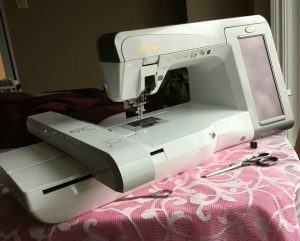 These machines are widely available within most shopping centers and sewing stores, and will most likely be the easiest machine type for you to find. 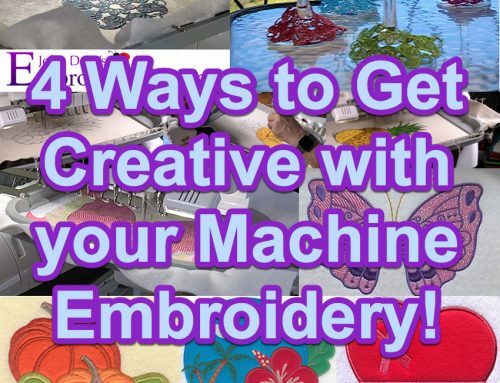 Although these machines are user-friendly and great for the hobbyist embroiderer, if you’re looking to start a business or make money with your embroidery this won’t be the correct machine for you. The largest hoop size for most single needle machines is 8×12. This means that embroidering jacket backs, hats & caps, bags, and other larger / uniquely shaped items are either extremely difficult or impossible to embroider on. 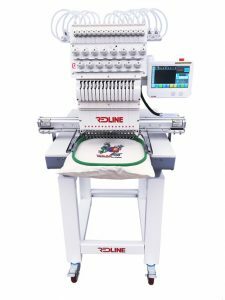 While they can be a slightly more challenging to master, multi-head machines are the “say all be all” when it comes to embroidery. Using a multi-needle machine unlocks unlimited potential for your embroidery. Although there is a learning curve when first starting on a multi-needle machine, it’s nothing you can’t handle. Especially with all the great educational resource available online these days. These machines are comprised of 4-16 needles, each of which sew its own thread color. This is a huge benefit as you’ll save tons of run time not having to switch colors manually. Another huge benefit to a multi-needle embroidery machine is the hoop sizes. Commonly, multi-needle hoops start at 4×4 and go all the way up to jumbo-sized hoops (jacket backs, etc.). Most even have cap frames which allow you to embroider hats/caps. Click here to learn how to hoop and embroider on hats. Not only are these machines more useful than a single needle for production, they also create incredibly precise and detailed embroidery. Plus,they’re fast. 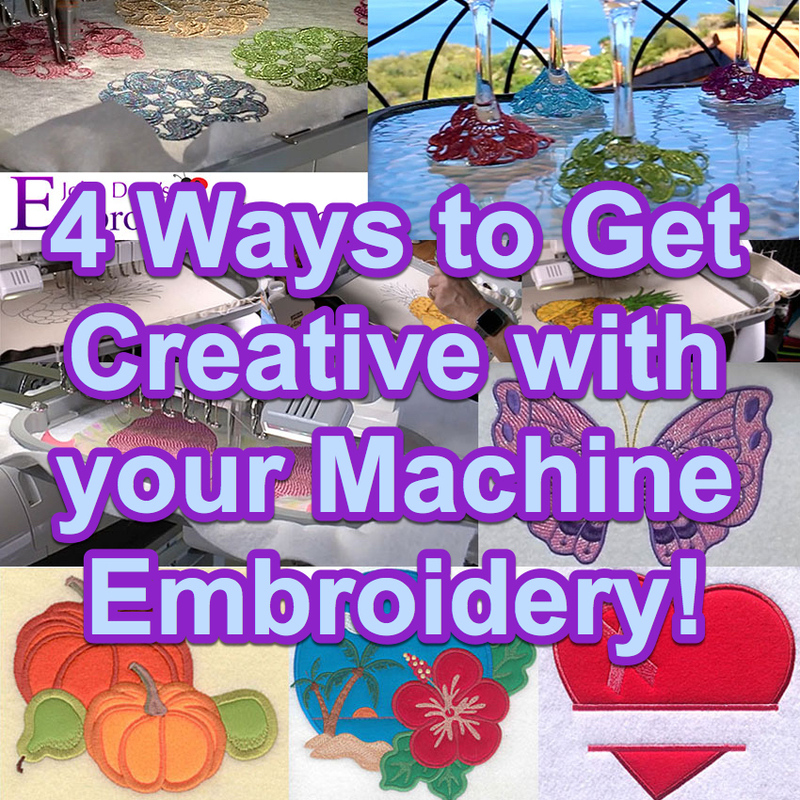 Which saves you time and allows you to output more embroidery. 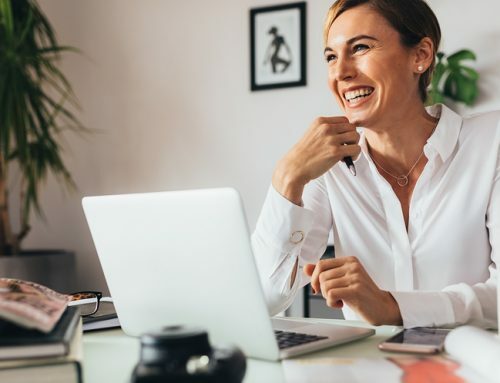 Now because these machines are often higher quality and have more capabilities than a single needle machine (keep in mind that this also does depend on the brand), they do often come at a steeper price point. In my opinion though, if embroidery is your primary focus (not exactly sewing) a multi-needle is well worth the money you put in. It’s important to find the right machine for you. 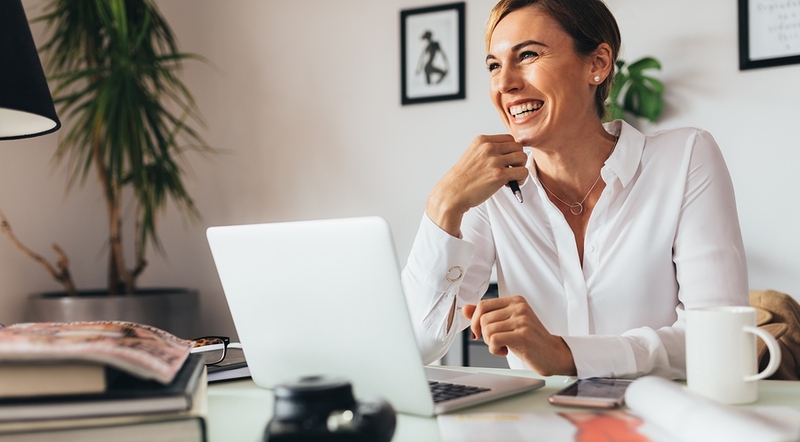 While shopping for a machine, remember to ask yourself “How often will I be using my embroidery machine?”, or “what products do I plan on stitching?”. 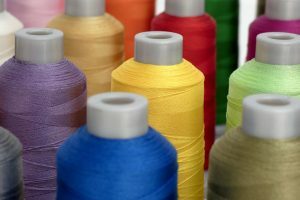 If you plan on stitching on larger or unique items like hats or jackets, you’ll likely need a multi-needle machine. Be sure to do lots of your own research when looking for a machine. What’s right for someone else may not be right for you if you have different embroidery projects in mind. However, if you’re looking for a multi-needle machine, I would recommend looking at Redline Embroidery Machines. They’re a fraction of the price of other multi-needle machines on the market and are quality commercial pieces that run incredibly well! It’s no secret that your embroidery machine uses thread to stitch out your designs. With so many threads to choose from (rayon, polyester, cotton, metallic, etc.) It’s hard to know which one to choose as well as where to start. Before we begin it’s important we choose and understand our thread weight. Thread weight is a little bit complicated as it doesn’t exactly work the way it sounds. For example, a low thread weight number means a heavy, thick thread. While a higher thread weight number is thinner and finer. Industry standard embroidery threads are usually a higher thread weight number (Between 30wt-40wt). 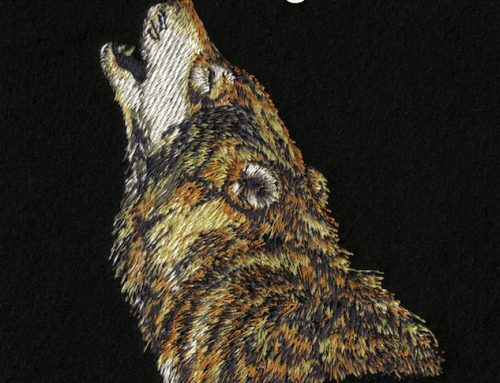 The good news is that almost all machine embroidery designs are digitized for standard 40wt thread. Of course there are some exceptions, but most websites will specify within the design description what thread weight they recommend you use. Rayon: Rayon thread is not as synthetic as polyester and because of this, it’s not quite as strong. 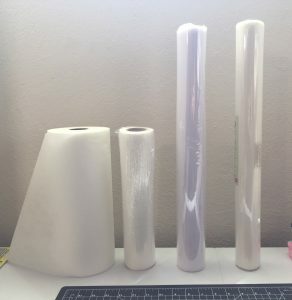 This can cause multiple thread breaks with designs that weren’t digitized properly so I recommend only using this thread type with designs from reputable vendors. Rayon is noticeably soft to the touch and produces a beautiful look & feel. Unfortunately however, it can be run down over time especially if repeatedly washed. I always recommend using rayon for stitching out our vintage 1950s free-standing lace (FSL) designs to get a beautiful finished product. Click here to learn other tips on stitching free-standing lace. Cotton: The advantage of using cotton is it gives a more “hand embroidered” look and feel to your designs. This makes cotton threads great for rework designs, quilts and cross stitch designs. Metallics: Metallic thread gives an incredible look and a hard wire feel to your designs but can be quite tricky to master. The reason most people struggle with metallic thread is because of of all the thread breaks. A lot of the time, people often get too frustrated and give up on metallic thread. Click here to learn the secret to embroidery with metallic threads, and never deal with a thread break again! Stabilizers, another must have to start embroidering. Stabilizers (also known as backing) are used to support your fabric while your machine embroiders. The stabilizer prevents the fabric from puckering and stretching. It’s important to use the correct stabilizer for the embroidery you’re doing, as using the wrong one can completely ruin a design/project. There are many stabilizers on the market including Cut-Away, Tear-Away, Wash-Away, etc. Cut- Away: Cut-away stabilizers are the strongest and most stable, while it can be used on any fabric type it’s best when stitching on stretchy or knit fabrics. The reason it’s called cut-away stabilizer is because of how you remove it. After your design is finished stitching out you simply cut away the excess stabilizer left around your stitches. Make sure you leave the stabilizer underneath of the stitches in place, as that will keep your stitches in place indefinitely. Wash-Away / Water Soluble: Wash-Away stabilizers are great for designs/projects that can’t have any trace of stabilizer once the design is finished, a good example of this would be free standing lace, or a design that will be looked at from the front and back. This stabilizer isn’t as strong as the others but works wonders. Plus, it’s magic… Simply rub water onto the stabilizer and it will disappear 😉 Hence the name wash-away. Tear-Away: Tear-away stabilizers are used when you need to remove most of the stabilizer on the back of your designs (between stitches and open areas). Tear-away can be used on almost all fabrics excluding stretchy and knit fabrics. To remove this stabilizer all you have to do is simply cut or find an open end to the stabilizer and tear it away. Now that you know what you need to start embroidery, you’ll need designs to embroider! Now, you you might be thinking “I can find embroidery designs anywhere online, so why not just use the free ones?”… Well let me tell you that this isn’t always the best approach. While you can do that, I’m going to let you in on a little secret that will save you tons of time and agony on your machine. If it’s a free design on a non-reputable website, don’t download it! 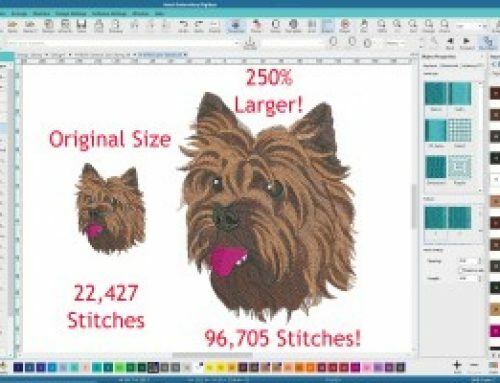 Very frequently I hear of people downloading ‘free’ designs, but what appears on their computer screen and what stitches out are two completely different things. Not only can the design look like a disaster, but it can have disastrous results on your machine! If the digitizer didn’t know what they were doing it can cause multiple thread breaks, bird’s nests, and sometimes even broken needles. Simply put not all designs are created equal & often times you get what you pay for. If an embroidery designs wasn’t created properly in the first place by someone who really knew what they were doing, you can’t expect it to sew out well on your machine. Now you may be wondering, where can I find reputable and machine friendly designs? Talk to your embroidery friends and see what others recommend! My personal recommendation is well… us! Our site UltimateStash.com has over 27,000 designs to choose from including authentic vintage lace designs from the bridal industry in the 1950s, step by step project tutorials, appliques and so much more! 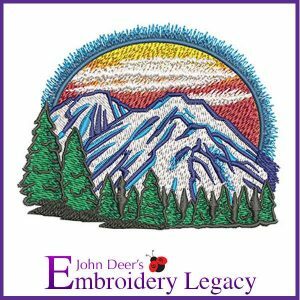 The reason I feel 100% confident recommending our designs is that each & every design was digitized correctly by John Deer, the world’s most awarded embroidery digitizer. Give any design on the site a try and I’m sure you won’t be disappointed. Finding designs online is great. However, it can oftentimes feel impossible to find exactly what you’re looking for. As an embroider when I have a project idea I often envision exactly what I want in my head before I can even begin searching for a design to use online. 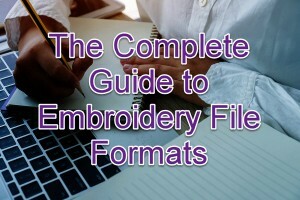 This is where learning to create your own embroidery designs is incredibly useful. However, it does take time. 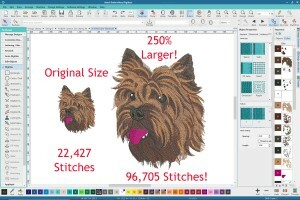 If you want to learn how to create your own embroidery designs (i.e learn embroidery digitizing), it’s important to learn the theory behind digitizing first. Knowing what’s happening behind the scenes on your machine as well as within your software is key to optimal results! 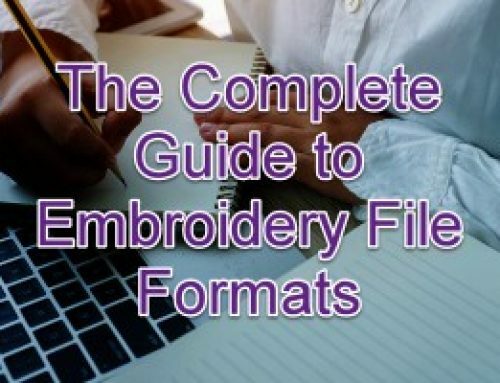 If you want to create or edit your own embroidery designs, I would highly suggest starting with our free Embroidery Digitizing 101: Cheat Sheet PDF & video course. 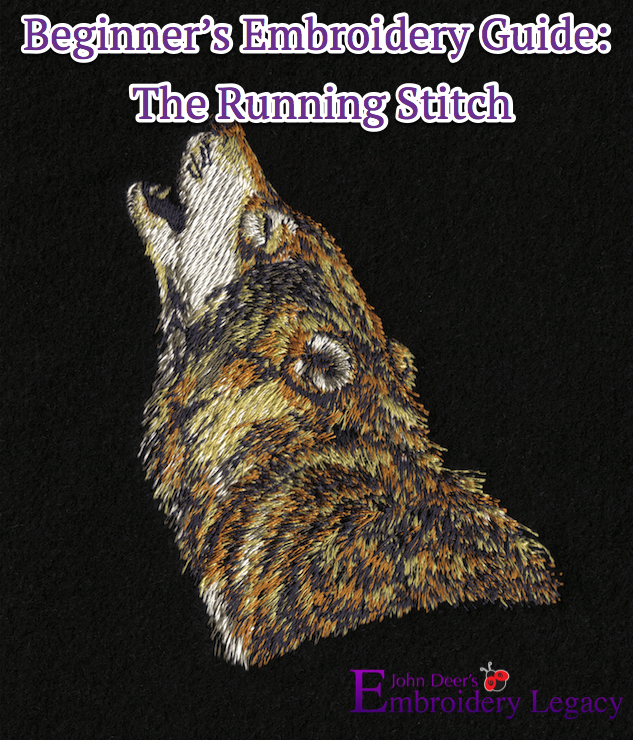 As of right now it’s 100% free and will teach you some basic digitizing theory that’ll improve EVERY aspect of your embroidery. Click here to enroll in the course now. If you don’t yet have software, there are many free trials out there. Always try before you buy! But while testing the others, definitely try the free 30 day trial of Wilcom Hatch through our site as well. You’ll see first hand why Wilcom has been the world leader in digitizing software for 25+ years. We’ll even provide you with 4 intro video tutorials to help get you started. Click here to learn more & download the free Hatch trial now. You now know what you’ll need to start machine embroidery. Learning to embroider is an exciting journey and we’d love to be a part of yours! Whether you use any of the products we sell or simply follow us on YouTube or Facebook for free education and giveaways, we look forward to seeing your progress and growth! Have a specific question about starting machine embroidery or enjoyed this article? Be sure to leave a comment below.